‘Smokin’ Jo Nattawut has always been considered a very exciting fighter whenever he competes in Muay Thai or kickboxing. Lately, he’s ratcheted up the thrill factor by competing with mixed martial arts gloves. 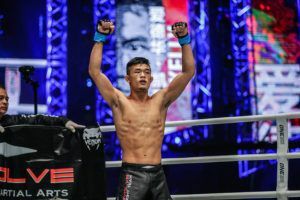 As part of the ONE Super Series, Nattawut has fought in the four-ounce gloves in his last two fights and both have resulted in jaw-dropping performances. 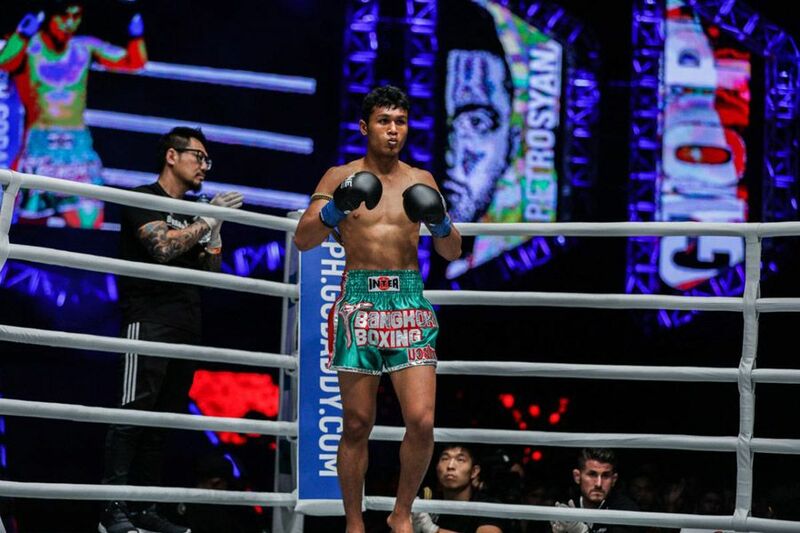 The first came against Yohann Drai at ONE: ‘Pursuit of Power’ and Nattawut demolished the French fighter in brutal fashion when they met last year. He followed that up with another dominant showcase against George Mann at ONE: ‘Heart of the Lion’ last November and punished the Scottish fighter for three rounds even though he didn’t get the finish. 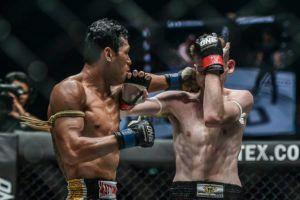 While fighting in four-ounce gloves is still something new to him, Nattawut has definitely enjoyed the results. That said, a Thai native who currently makes his home in the United States home, knows at some point he’s going to get caught by someone wearing those same four-ounce gloves and it’ll test his chin. “The thing is I haven’t been hit yet. So I’m enjoying it for now,” Nattawut said with a laugh ahead of his next fight at ONE: ‘Clash of Legends’. When he returns to action, Nattawut will face another French fighter when he goes up against Samy Sana. The Frenchman started his ONE Championship career with a loss but then bounced back with a victory to even his record in the promotion. This time around, Sana will be stepping into enemy territory to face Nattawut while also going up against one of the most ferocious finishers in the featherweight division. While Nattawut might be considered the favorite going into the contest, he’s not discounting the skills that Sana brings into the cage with him. In fact, Nattawut sees a bit of himself in Sana and that’s why he expects this to be the kind of fight that will have the crowd on its feet from start to finish. There’s no doubt that Nattawut wants to get a win here not only because this fight serves as the precursor to the upcoming ONE Super Series Featherweight World Grand Prix but also because he’s competing at home. While Nattawut has lived in the United States for several years, he still revels in the opportunity to return to his native country where he hopes friends and family will all have the chance to see him perform. 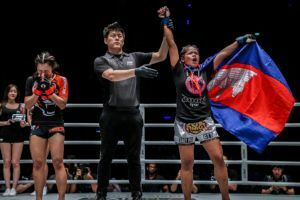 “This is going to be my first big fight in Thailand in my home,” Nattawut said. The winner of this fight will also be poised for a great position in the featherweight kickboxing Grand Prix tournament that gets underway at ONE: ‘A New Era’. Nattawut definitely has his eyes on the Grand Prix already but before he gets ahead of himself, he has to defeat Sana and then put his full focus on the tournament ahead.